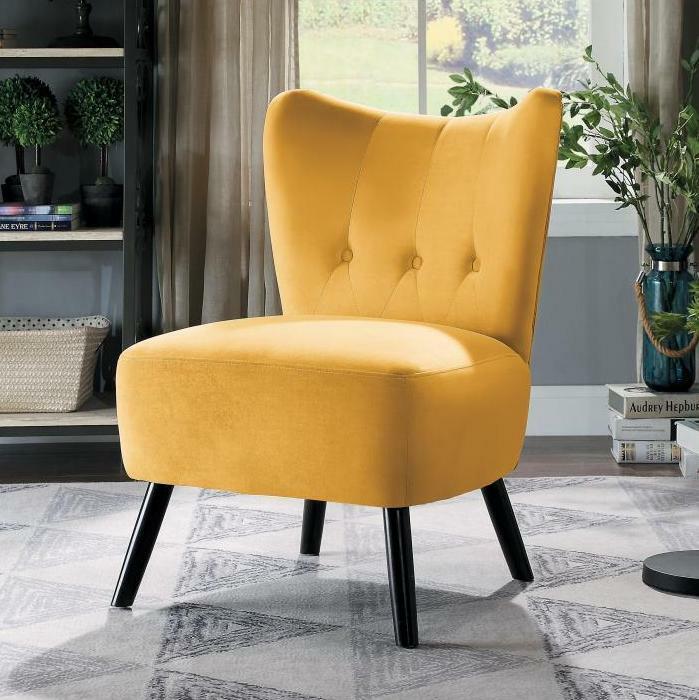 Fun and funky, the Imani Collection will add vibrant accent to your home's modern decor. 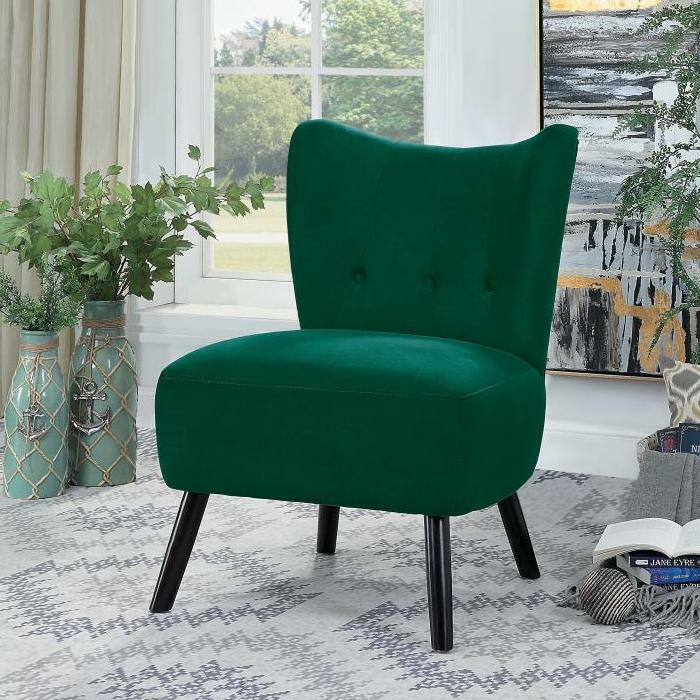 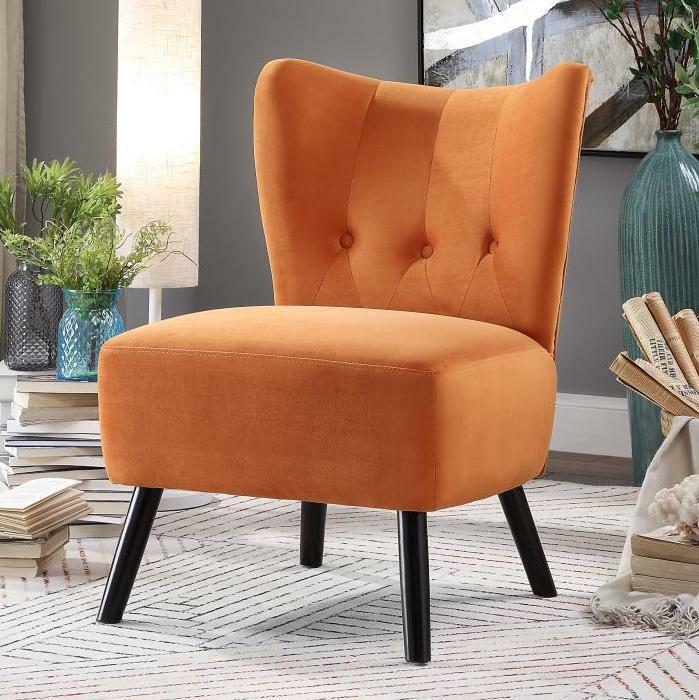 Offered in five velvets options: Green, red, gray, orange and yellow, this retro-inspired accent chair is sure to draw attention. 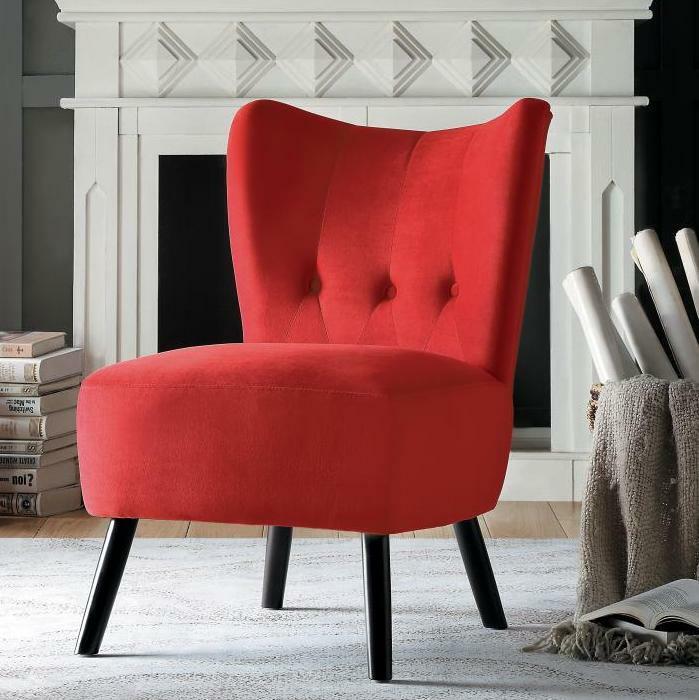 Dark brown finished wood legs, button accent and contoured shape, lend to the unique styling of the collection. 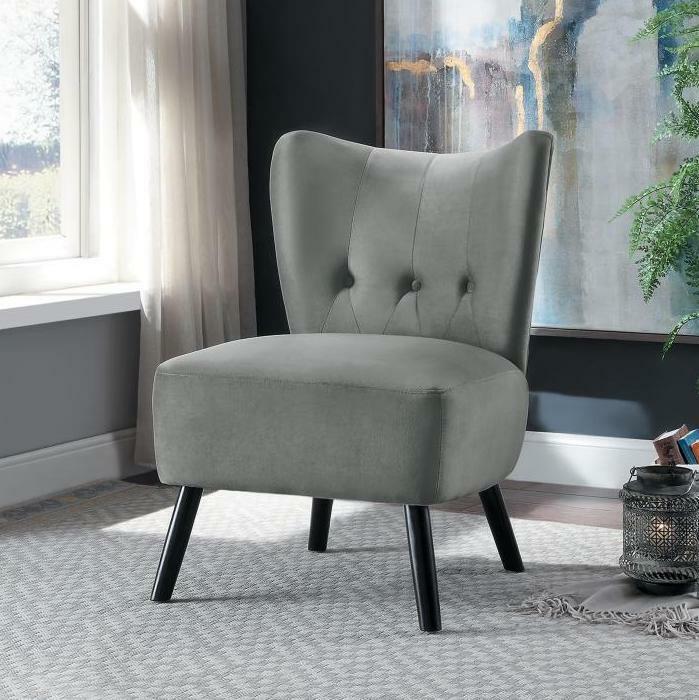 FEATURES: Contemporary / Modern Style ~ Retro-Inspired Design ~ Dark Brown Tall Wood Legs ~ Button Accent / Contoured Shape Accents ~ Several Fabric Covers Available.